Designed to introduce a comprehensive range of apologetic arguments and strategies, Foundations of Apologetics features lectures by RZIM's team of apologists including Ravi Zacharias, Michael Ramsden, John Lennox, Stuart McAllister, Alister McGrath, Amy Orr-Ewing, L.T. Jeyachandran, and Joe Boot. Students of this rigorous curriculum will become adept at recognizing the many worldviews influencing our culture and equipped to challenge the assumptions of these worldviews. It is our prayer you will find the studies foster not only knowledge but also cultivate the skills to communicate that knowledge in a way that is winsome and effective. The 19th century writer George Macdonald once said, "To give truth to him who loves it not is but to give him plentiful material for misinterpretation." 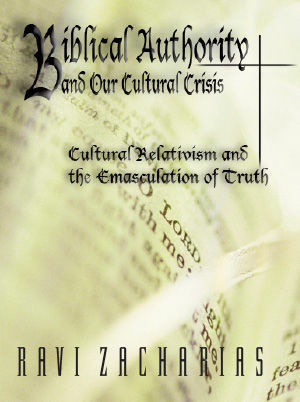 Indeed, Ravi argues that the ideas of rationalism and agnosticism and the institution of the media have altered our social landscape, such that belief in God's revelation seems wholly implausible for many individuals. Without such an understanding, proclamation is pointless. Six months after the fatal tragedy at Columbine High School, Ravi Zacharias went to Littleton, Colorado and spent a week in discussion and ministry at the request of the local churches. It was a diverse outreach for Ravi, with one message focusing on pastors and youth counselors, another message delivered to teens, and other messages given to the community at large. Ravi sought to answer many of the vital questions raised by those in Littleton and to minister God's love to the people. 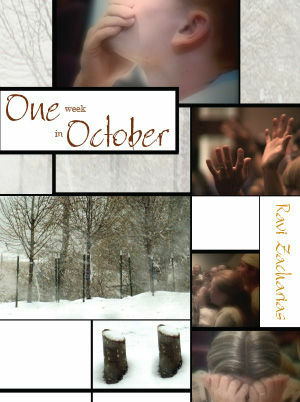 The series is a compilation of concise and pointed portions of the messages given by Ravi throughout the week. It also includes music and interviews that enable you to see and understand the ministry in Littleton more deeply. Is it really possible to talk about Christ being the only way to God without implying at the same time that any ideas that contradict Christ then become false? In this lecture, Dr. Zacharias examines the philosophical idea of truth, points of tension between Christianity and Eastern religions, and how Christ's teachings are distinct from other religions. This message was also delivered at the South African forum on the uniqueness of Christ. According to Richard Dawkins, there's no difference between God and the Easter Bunny. Is God really just a trick or a deception like the Tooth Fairy? Is accepting God's existence a fantasy fit only for the consumption of a child? In a world with so many tears is belief in God simply a lie we use to persuade a smile? Two questions often heard on university campuses are "Does God really exist?" 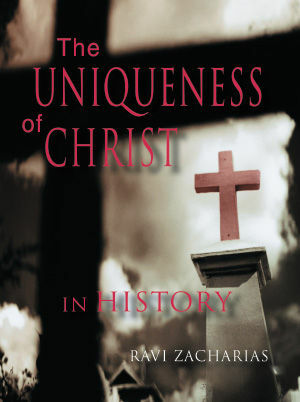 and "How can Christ be the unique revelation of God?" Yet for many Christians the question is often, "What is God really like and how may I know Him how He desires to be known?" God revealed His answer to King Jehosophat in 2 Chronicles 20. 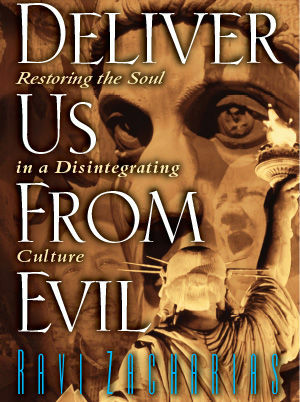 Ravi delivered this message at the Christian Booksellers Association conference in Denver. 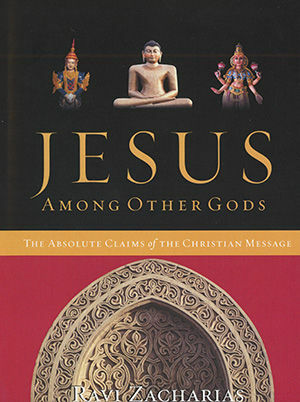 The truths uncovered are delightfully inspiring and unrivaled by any other religion. Jonah really ought to have missed the boat. A strong prejudice kept this man from capitalizing on one of the choicest opportunities ever given to an evangelist. He is the only minor prophet referred to by Jesus. There are some extraordinary lessons in Jonah particularly for the one who is called to serve but seeks to run. It is the cardinal doctrine that is most condemned by the skeptics but most empirically verifiable by experience. 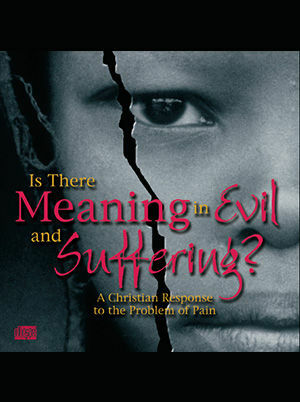 Ravi debates the difficult question, "Is There Meaning in Evil & Suffering" at the Faith and Science Lecture Forum. Ravi's address is followed by a rebuttal from three panelists: Dr. Bernard Leikind, a plasma physicist, senior editor at Skeptic Magazine and a renowned atheist; Dr. Jitendra Mohanty, one of India's most noted Hindu philosophers and a distinguished professor at Emory University in Atlanta; and William Lane Craig, a noted author, Christian philosopher and apologist. After the rebuttals and Ravi's response, the audience asks questions. 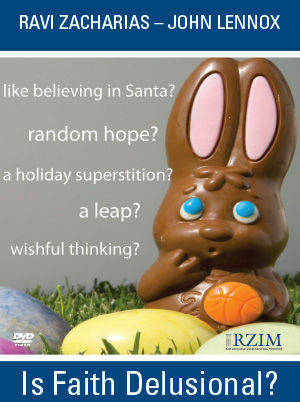 RZIM along with the C.S. Lewis Institute recently set their sights on the nation's capital for a week of concentrated outreach undergirded by apologetics. These outreach events targeted critical contexts of influence. 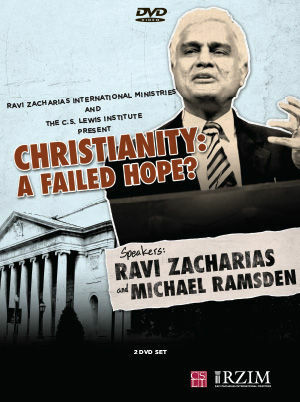 The capstone event was a sold-out evening at the prestigious Constitution Hall with Ravi Zacharias and Michael Ramsden. As global events continue their tumultuous paths, many men and women find themselves desperate for a relevant source of hope. To this end, Ravi and Michael delivered their talk to an audience of over 3,000 on the oft-neglected theme of hope. In the context of an increasingly unstable world, RZIM invites you to be a part of these timely reflections on our hope in Christ. Ravi @ the Roxy was captured at an inaugural ministry event in April. The hip and historic Coca-Cola Roxy Theatre in Atlanta was rented, and an evangelistic event open to the public and with free admission was hosted by RZIM. 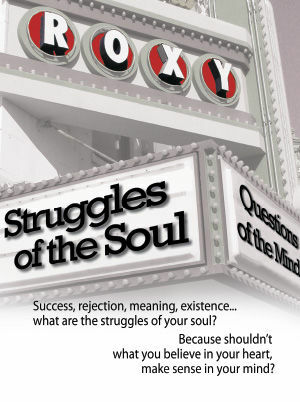 Within weeks of publicizing the event, tickets were sold-out, the venue was packed, and Ravi delivered a persuasive message titled "Questionable Answers." Now, experience the flavor of the evening, feel the energy of the crowd, hear a compelling presentation of Christianity. 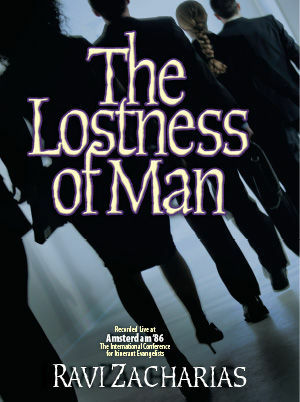 We are confident you will find this series to be an excellent tool for skeptics and those searching for answers. 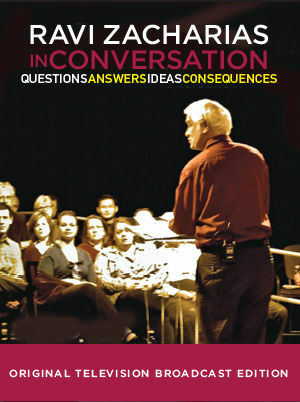 Join Dr. Ravi Zacharias for an in-studio talk he did for Crossroads Television System in Canada entitled Ideas Have Consequences. Aired nationally, Ravi's message focuses on the biblical story of Josiah and in it he traces some of Josiah's ideals and convictions and their eventual consequences in his life. With introductory remarks by RZIM Canada's lead apologist, Dr. Andy Bannister, Ideas Have Consequences is a provocative conversation you won't want to miss. 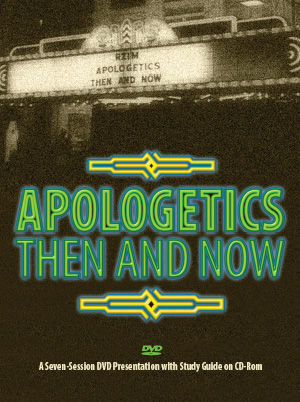 Join Ravi Zacharias, Stuart McAllister, and Alister McGrath of Oxford University in this seven-part study and learn how some significant ideas have shaped apologetic thinking, how to connect with contemporary issues, and how to frame an effective argument. The study ends with a 40-minute panel discussion that engages questions from a live audience. Is it arrogant to claim that your beliefs trump everyone else's? "Intolerance" is now a major accusation, particularly against men and women whose beliefs leave anyone feeling left out in any way. Is it even possible to include everyone when it comes to your beliefs? Could tolerance itself be a form of intolerance? Entitled Coexist? 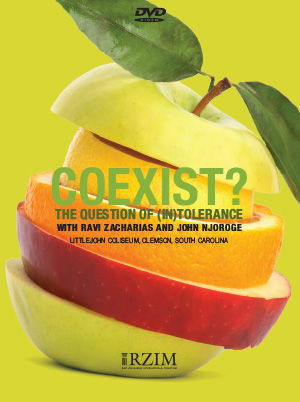 The Question of (In)tolerance, Ravi addressed this timely and challenging topic to a sold-out crowd in Clemson University's Littlejohn Coliseum. It is ironic that we experience such evil in a society that posits relativism. In this video, Ravi presents a piercing analysis of human wickedness. 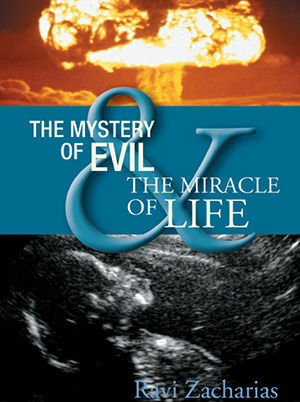 He traces the origin of evil and particularly the lure of sin before Adam and Eve when Satan made God's truth suspect. Dr. Zacharias examines our hunger for the fulfillment of needs that God alone is big enough to fill and offers a challenge to surrender the human will to Christ's control. No other city commands such spiritual focus as Jerusalem. Each historic site, every dramatic vista of Israel's countryside, reminds us of the importance of humanity's ongoing, unending search for God. 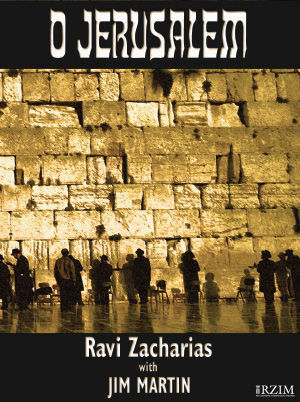 Standing on the southern steps of what was perhaps Herod's Temple, at the entrance gates to the Old City, Ravi Zacharias delivers an important and moving message about the transformation of the heart and the empowerment of the spirit. Unresolved guilt is the cancer of the soul. Therefore, our society has tried to abolish guilt by denying any standard of right and wrong. But without a feeling of guilt, hell would be a present reality. Likewise, there is no greater cry of the human heart than that of loneliness. 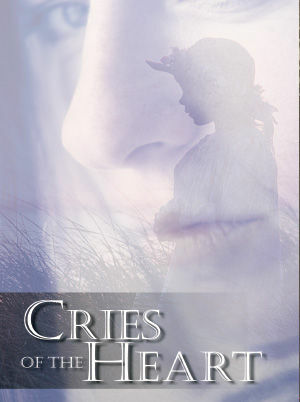 In its most painful sense, it is the idea of being emotionally orphaned. It is not enough to say, "God loves you." The pain goes much deeper and so must the answer. In this series, Ravi deals with these two inner struggles. Ravi poses this question: "Is it possible to be a perfectly contented individual, completely at peace with that calmness of spirit and having absolute fulfillment of every desire without wandering away from the law of God?" 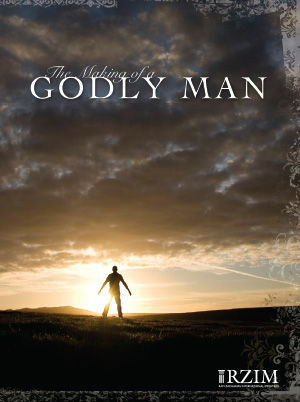 Examining the life of Daniel, Ravi offers three principles which God wanted to teach His people through this great man of the Old Testament: humility, spirituality and faith. Poignantly relevant for today's world, this 13-part video series offers powerful ammunition for today's warfare of ideas. 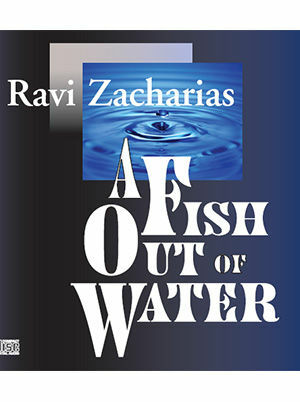 Ravi Zacharias empowers informed believers to change their world. While sweeping you away to remarkable settings that intrigue with their mystery and significance, this series is filled with eloquently told stories, historical references, and timeless truths that will open the eyes of the believer and seeker alike in many remarkable ways. "Your pursuit of what is ultimate assumes that you find relevance in that belief," says Ravi Zacharias. But how are we to navigate the shoreless sea that constitutes our pluralistic world of conflicting ideas? Moreover, how do we remain committed to a particular worldview in a culture that dogmatically opposes any form of exclusivity? Most important of all, must Christianity itself be exclusive? 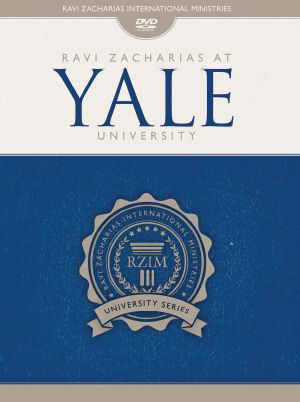 In this timely message, delivered in a crowded lecture hall at Yale University, Ravi Zacharias makes the assertion that truth is itself exclusive. To deny this is to exclude. Yale University's motto is "Lux et Veritas," meaning, light and truth. 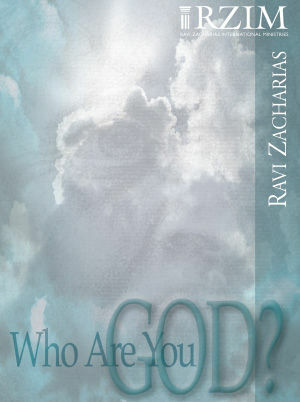 Throughout the course of his message, Ravi continually demonstrates his commitment to both of those ideals arguing that the Christian worldview is not unique for being exclusive but rather for its ability to stand up to scrutiny and to provide answers to the ultimate questions.